After leaving the market, John and I went back to our hostel (Seoul Pencil Hostel) near the Women's University for the night. We'd checked in earlier that day, before lunch. This morning they served us breakfast, which included a soup, some tomatoes, melon, salad, roll, and ham. They washed our breakfast dishes, too! We reserved the same room for this Thursday night (John's flight is Friday morning) because we were so satisfied with the quality, and its location is perfect for getting to the airport. Today our mission was to see a movie. Mission accomplished! 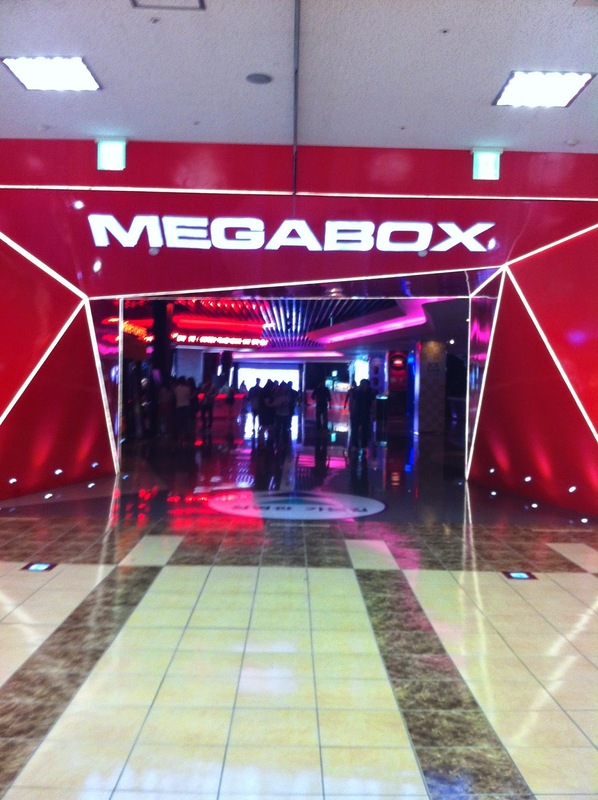 We saw X-Men Days of Future Past at the Megabox theater in Dongdaemun History & Culture Park Station. Koreans don't like to dub movies, as they prefer to watch movies in their original version (Spain, you could learn from them! ), so we didn't have to worry about that. There were just Korean subtitles the whole time, which is easy to ignore. It was really easy to buy tickets from the counter, and we carried in some eats plus treated ourselves to movie theater popcorn. Treat yo' self! The movie ended sometime after two, we caught our bus a bit after three, and were home before five. It's been a quiet evening of laundry and blogging. This week our Korean food goal is to eat a Korean barbecue restaurant one night, which is where you grill the meat yourself at your table. I haven't been to any of the Korean barbecue places in town, but Friday night's dinner fail has given me drive to look up more information about ordering at the various types of Korean restaurants. I found this great guide to the different meat cuts you can order at most Korean barbecue restaurants, so I'm ready to give it a try!